This is the second post in a series that will eventually comprise an activity-based, unit pioneering program curriculum. 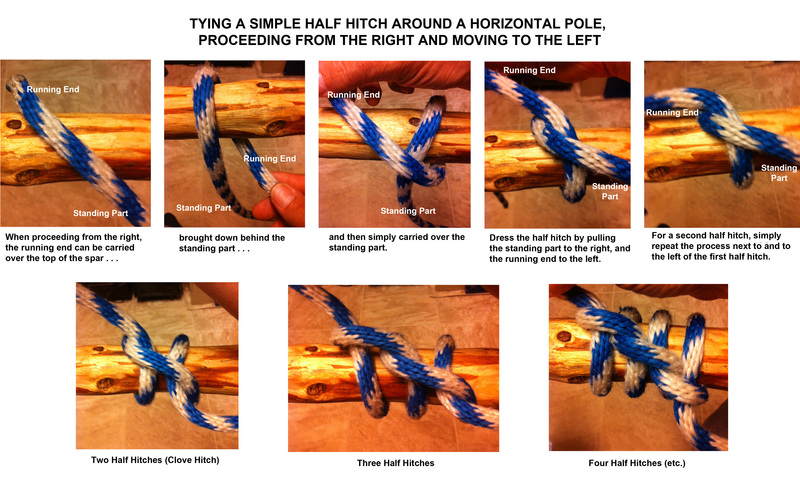 Scouts will demonstrate they can tie half hitches around a horizontal pole, proceeding from both the right and the left. 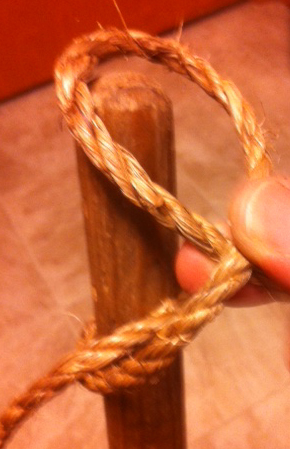 Scouts will demonstrate they can tie a round lashing by starting and ending the lashing with two half hitches. Scouts will lash together two staves to make a longer pole by using two properly positioned round lashings. Starting at the center of the 6-foot spar, the instructor slowly ties a half hitch for all to see, proceeding from the left and initially carrying the running end over the top of the spar. The half hitch is untied and slowly tied again for all to see. This is repeated as necessary while, in like manner, the class ties their own half hitch around the horizontal hitching post. When all Scouts can accomplish this, three and four half hitches are tied in succession. Scouts give it a go. Starting again at the center, steps 1-4 are repeated on the other side, this time proceeding from the right and initially carrying the running end over the top of the spar. Click on the Images for LARGER Views! Click on Image for LARGER Views! 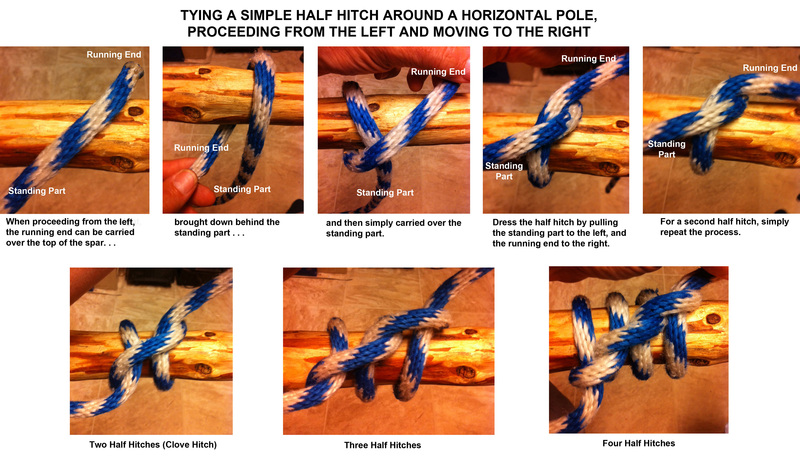 Using two Scout Staves and a lashing rope, the instructor demonstrates how, by holding in one hand the two staves and the long end of the rope as the standing part, he can tie two half hitches around both staves working with the running end. This forms a clove hitch which will start off the round lashing. It will be easy to see that since the long end of the rope will be used for the wrappings, to start the lashing, the half hitches will be applied moving towards the nearest end of one of the staves. Scouts apply the technique, tying the clove hitch around two staves in the manner shown. The instructor demonstrates wrapping the longer end tightly and neatly around both staves, leaving enough rope to finish the lashing with two half hitches. Scouts combine into one group and, using all the materials on hand, join all the staves tightly together into one very long pole, with round lashings.